A Collection of Classic American Automobiles by popchartlab. big pic! 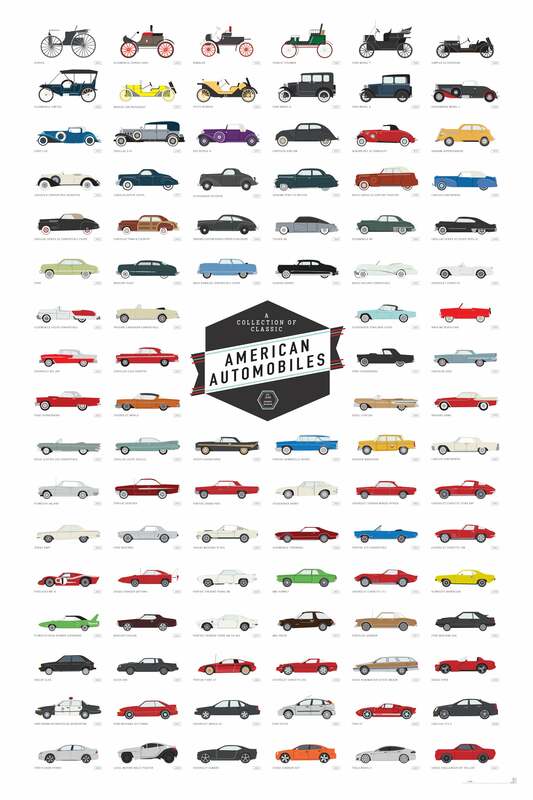 "Take a drive down memory lane with this chart of all-American motorcars and automobiles. Perfect for pistonheads who never lack an opinion on the manifold matters of rack and pinion, this chart of cherry rides (and a few legendary lemons) is ambrosia for all appreciators of American craftsmanship—and just like the cars it depicts, this print is produced right here in the USA."